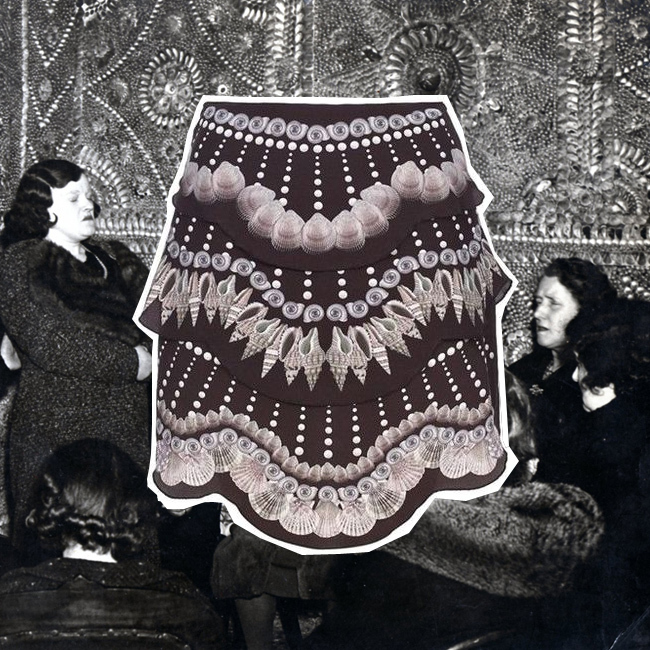 Spotted this Emma Cook Shell Print Silk Skirt on Cocosa today and was automatically transported to the magical underground world of Margate Shell Grotto. Iso did a fantastic post on Margate’s number one tourist hotspot the other week – can’t remember if I posted any pictures from my adventures there earlier in the year but they aren’t as good as Iso’s anyway so you should just check her site. Doesn’t look as though Emma has used her shells to create any uterus shapes or phalluses – more’s the pity – but this is still a beaut of a purchase and a semi-bargain now at £135 down from £389. Only in a size 12 though, so hop to it!